The town of Aguirre in Puerto Rico is a living anachronism. While it is here today, it really exists 60 years ago or more. 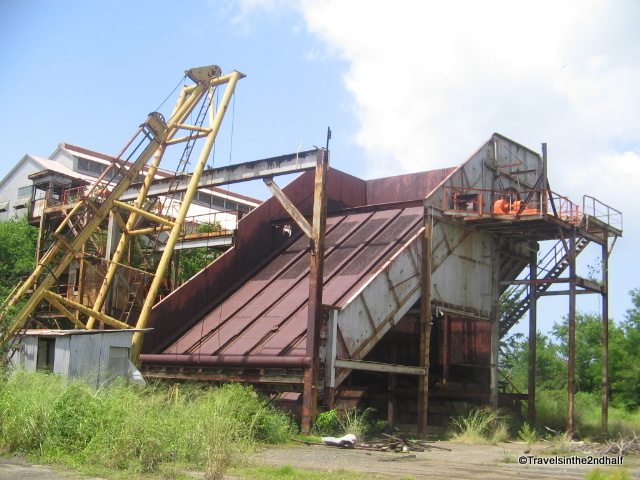 Aguirre was a sugar processing center on the southern coast of Puerto Rico. Its history goes back before the turn of the last century, and represents the rise and fall of sugar industry on the island. 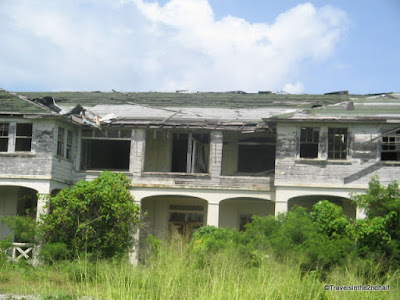 I was lucky enough to get a guided tour of the town led by Carmelo Dávila, an industrial archeologist at the Jobos Bay National Estuarine Research Reserve. Aguirre Central was a company town, built to support the production of sugar at the local refinery. The houses and businesses were all owned by the company, and the workers in the plant lived in the company owned housing, their lives pretty much controlled by their employer. You can find a good history of the sugar industry in Aguirre here. The Aguirre Central Sugar Mill was the first sugar mill developed by investors from the United States after the Spanish American war. It mainly produced sugar and molasses that was taken to the United States for processing by the Monsanto Company. I found this trip fascinating. 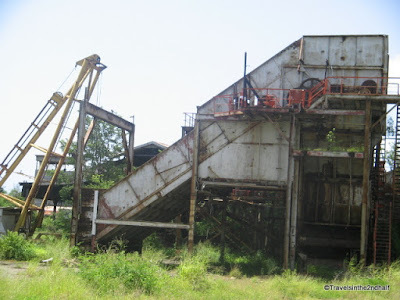 First we had a chance to walk around the ruins of the abandoned sugar mill. 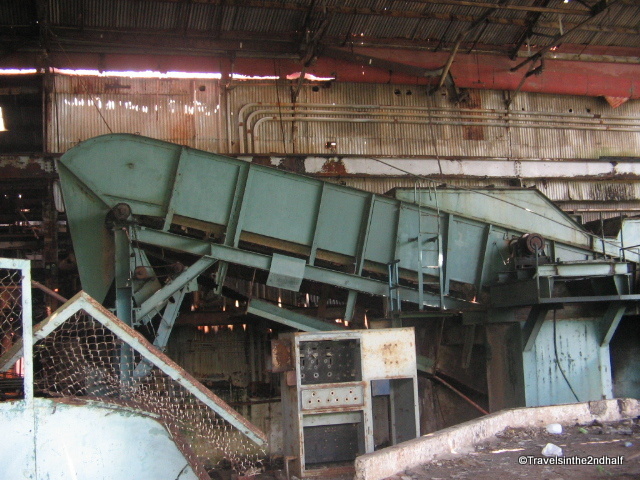 At the time that the mill closed (1990) this was one of the most advanced sugar mills in the country. It was, at its height the largest processing center in Puerto Rico. Today it is an empty shell. Most of the equipment has been removed. But walking around you could hear the echoes of 100 years of workers turning cane into sugar. If you have never been in a large factory, there is a totally different scale to the machinery and tools used there. Things are big, much bigger than most people would think of. Walk into these empty buildings and you can imagine when it was filled with grinders, belts and cookers. You can almost hear the noise of these machines, drowning out all other sounds, and even the thoughts of the people who worked here. 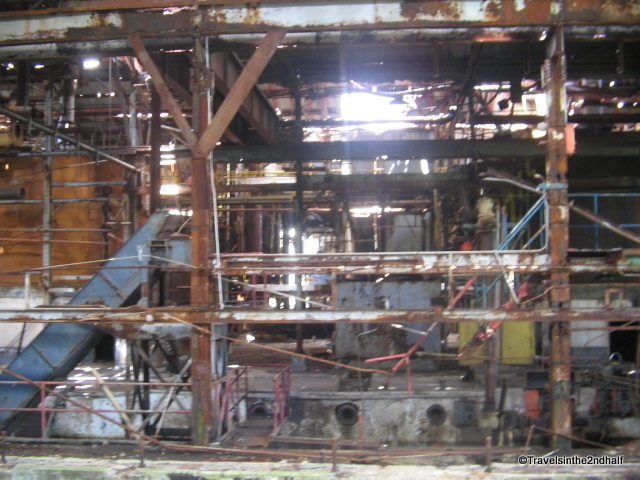 And you can almost see the workers, moving through the heat and the noise, keeping the machines running and keeping the flow of sugar to the food and rum industry of the day. After touring the factory, we went for a drive around the town. As I said, this was a company town. 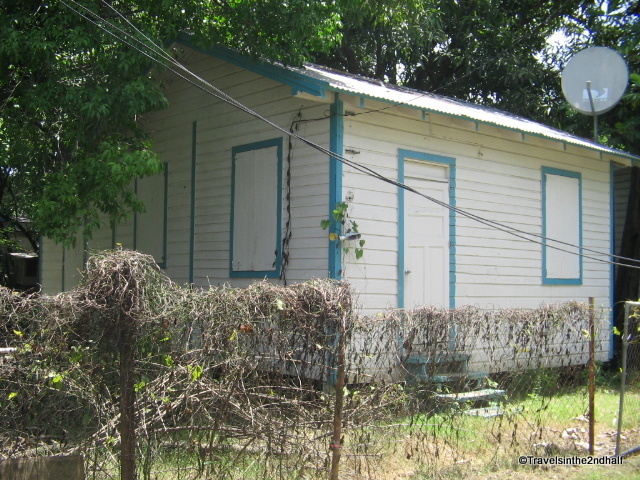 All of the houses and buildings were owned by Aguirre Central Sugar Company. Workers lived, shopped and socialized in these buildings. They included a school, a hospital, post office, movie theater, and even a golf course for the managers. The housing was segregated by the jobs that people did. A segregated environment reflected was reflected in the physical landscape, and divided the white managers from the black laborers. As you drive around you can see and viscerally feel the segregation. The difference in the quality of the houses and the streets is painfully obvious. And the fact that these differences played out along post slavery racial lines reflected the same racial issues that existed on the mainland. If you worked on the factory floor, you lived in a small house, maybe 3 or 4 rooms. 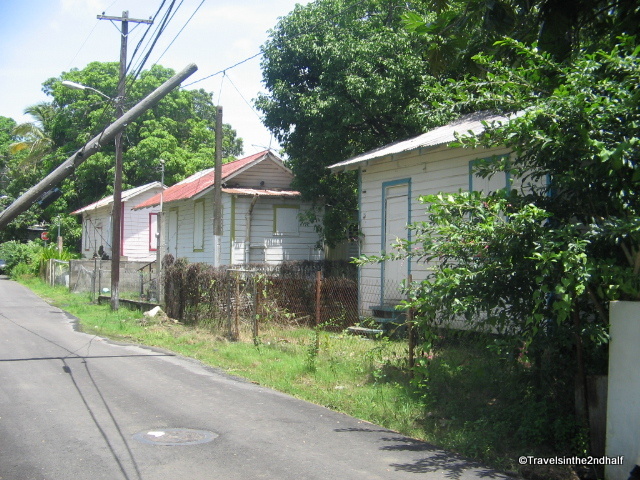 Engineers lived in larger houses in a different part of the town. And the managers lived in the largest houses. There was a club for the engineers and managers, and a golf course. When the factory closed down in 1991, the workers were given the chance to buy their houses, but not the land on which they sat. The cost was $1, and came with the proviso that the house could only be sold to a direct family member for the same price. So most of the people who currently live here are the descendants of the original workers in the factory. Getting There: From San Juan – Take PR-18 south of the city. It becomes PR-52 (which is a toll road). Travel 60Km and exit onto PR-53 east. After 3 Km exit onto PR-706 south. After 3 Km turn onto PR-3 west. Go about 1 Km to PR-705 south. This will lead you into the old town of Aguirre. I loved your blog! It was so informative, yet personal, and the pictures are amazing. I visited Aguirre last December (2016) with my husband because I wanted to see the place where my father had worked prior to WWII. The feeling of living history was so palpable! Thank you. I am so glad that you enjoyed my blog. I hope that you read and like my other entries.